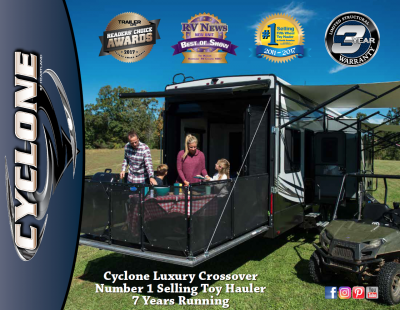 Take the trip of a lifetime with the 2020 Heartland Cyclone 4270 5th Wheel Toy Hauler! After more than four decades of being one of the top RV dealers in Michigan, Gillettes Interstate RV knows how to provide top-notch sales and service to our customers! 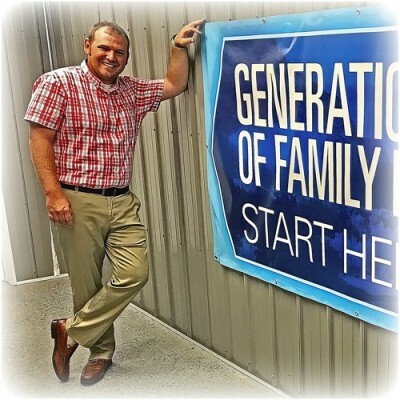 We have a huge inventory and our wholesale prices are some of the best in the nation! We're conveniently located at 7210 E Saginaw St East Lansing Michigan 48823 and you can tour our entire inventory! Don't live in East Lansing? No problem! Visit us online and give us a call at 517-339-8271! With our 24/7, door-to-door delivery service anywhere in North America, you can have the RV of your dreams in no time! Go on trips as far as you want to, as this RV has a GVWR of 20000 lbs. and a hitch weight of 3810 lbs! Avoid getting sunburnt by placing your camping chairs and picnic table under the shade of the 19' 0" awning! 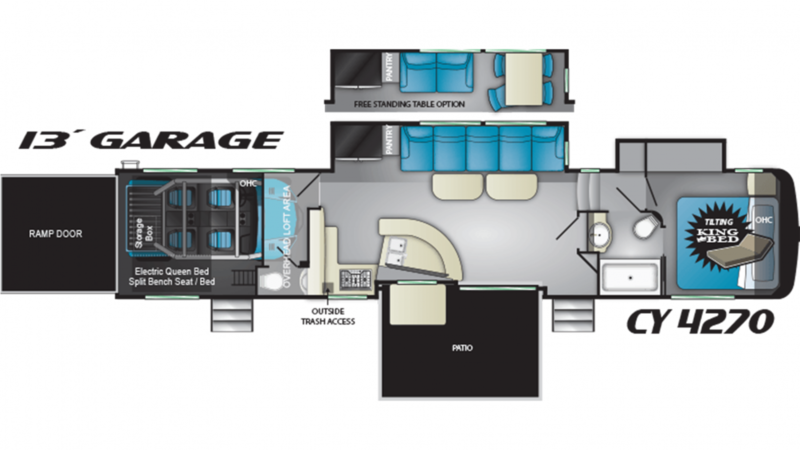 Expand the spacious interior of this 44' 0" long, 8' 5" wide, and 13' 3" high RV with the 2 slides. Control the temperature of the living area with the 35000 BTU furnace and the 15000 BTU a/c. Nothing beats a great night's sleep on the road and you'll experience that kind of sleep every night! That's because it sleeps up to 8 people and comes with a beautiful master bedroom where you can enjoy a great night's slumber in the spacious King bed! Sizzle up some savory snacks while you're on the road! The kitchen is full of modern cooking appliances, including the 3 burner range cooktop! You can keep all your produce, meats, and drinks fresh and cold with the 18.00 cu. ft. refrigerator! Fill up the 100 gallon freshwater tank for clean water throughout your vacation! If you're looking for an RV that can carry all your outdoor toys and gear when you're on the road, then the Heartland Cyclone 4270 is perfect for you! The easy access ramp opens up the 13' 0" garage, and this toy hauler's sturdy 2497 lbs. of cargo capacity can handle your toys and gear easily! Your family will love hanging out and having fun on the patio deck! It's spacious enough for everyone to dance, lounge, and party outside! Among the comfortable sleeping accommodations is the spacious loft area! Your kids can climb up and snuggle into the comfortable bedding and drift off to sleep, cozy and secure!